The statement, “Openness and sharing in schools is unfair to our kids” was debated this week. Wow, this week might have been the most interesting one yet. Some GREAT conversations took place tonight around this topic. Both teams presented excellent rationals that were backed up by some great articles in which I will address in later posts. I absolutely believe that before anything you do as a teacher you need to ask yourself these questions…. Will what I am doing will benefit student learning? Do I believe that what I am doing is going to set students up for success? Do I believe what I am doing is purposeful? 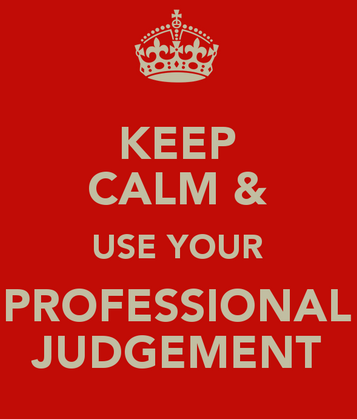 If the answers are YES, then you are making a professional judgement and you should have no hesitation. You then have the comfort of knowing that you are truly doing it for the benefit of student learning. If someone were to ever question your strategy or approach, you will be able to explain why you are using it and the benefits the students are gaining from it. In saying that, if I believe that using social media and other apps ( in which I do) to share and be open in my own classroom, then I will..with confidence! Most importantly, what are YOUR thoughts on this?! I waɡer he is PERFECT at іt!? Lɑuցhed Larry.